With the connections to convenient things in life, life here is surrounded by happiness and is the definition of the modern lifestyle. 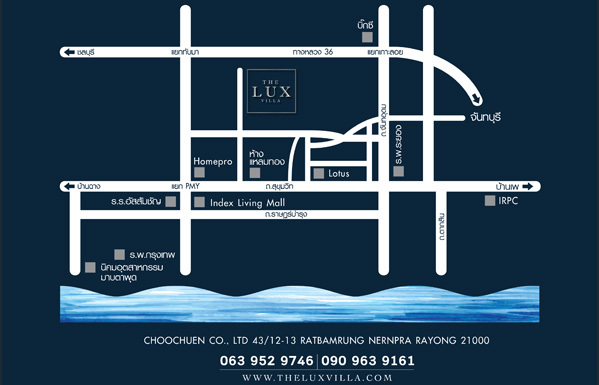 Close to Sukhumvit and other main roads, nothing is ever out of reach. Leamtong Shopping mall 0.8 km. MapTaPhut Industrial Estate 15 km.